My black beauty is up for sale. 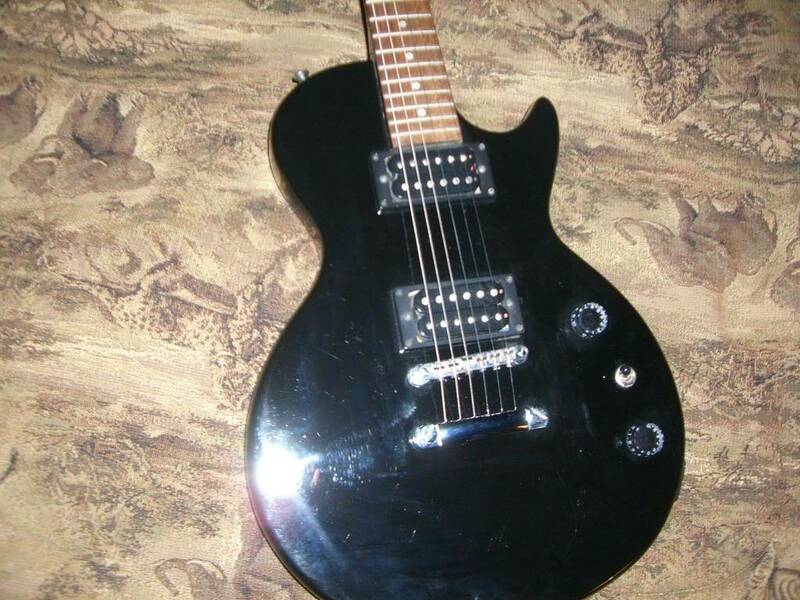 this is a 1991 Epiphone/Gibson Les Paul Special. Not the "Special II". this is a full on mahogany body, SOLID excellent playing guitar. The neck and all electronics are excellent. Rosewood fret board. black(ebony) finish is actually hard to photograph. This is my baby, but gotta let her go. My loss is your gain. Everything works excellent. No gouges chips or damage. Complete with new D'addario Super Light strings. The Les Paul Special was built prior to the Les Paul II. 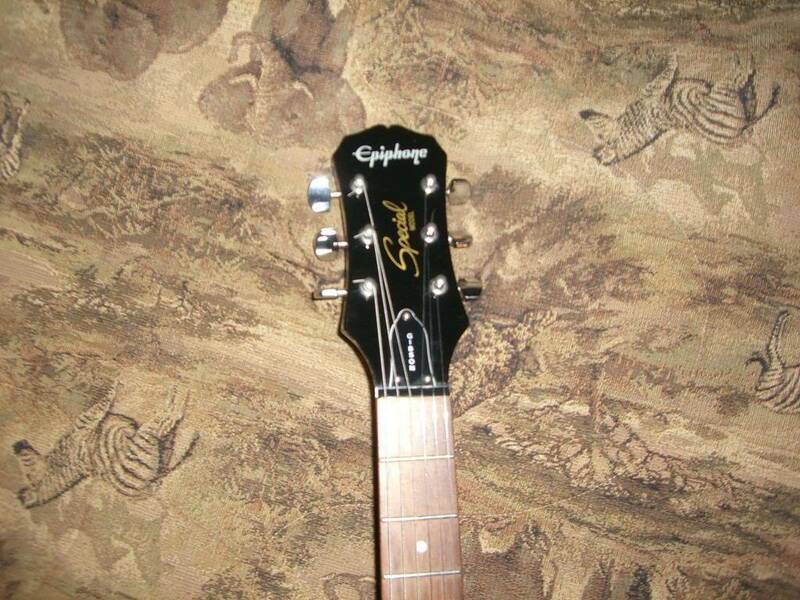 The headstock cover says "Gibson" . This is a like new (read no rust or issues) 1991 vintage sweet sounding guitar. Everything is stock. Email me for more pics or with any questions. Asking $150.00 Also have a couple small amps I would part with as well 1 Fender and 1 Peavey. Sorry no, I need to pull it. What are you having to do to the Strat? Its a hard tail, needs a new tail (the old one is rusty) and new controls and input plug. Great looking vintage blonde color. Shoot me your email via p.m. and I will send you some pics if you like.